Kidliterati: ART OF THE SWAP Releases Today (with a free companion activities guide for budding activists)! ART OF THE SWAP Releases Today (with a free companion activities guide for budding activists)! *Shouts from the mountaintops* It's here! It's here! 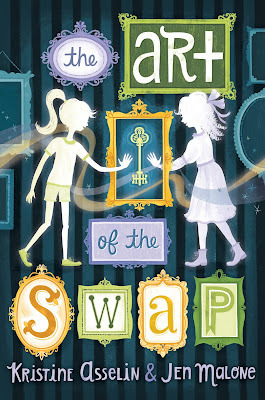 It's release day for my newest MG, The Art of the Swap, co-authored with Kristine Asselin. This book is really special to us because it tackles some very timely issues that are close to our hearts (especially the role of women in our society), in a way that hopefully remains extra fun and adventure-y for readers of all ages. The Art of the Swap is "Freaky Friday meets Downton Abbey" and it’s a feminist art heist mystery where a modern-day tween living in the caretaker’s apartments of a Newport mansion-turned-museum swaps places in time with a tween heiress living in the same mansion during its Gilded Age heyday, when it was a private residence. 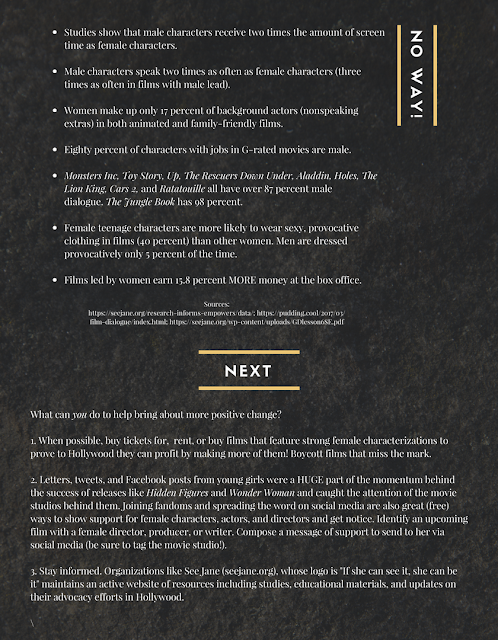 They have to solve a century-old art disappearance in order to switch back, but in the meantime their experiences in each other’s bodies show them a lot about what life is like for girls in their respective time periods, and gives them inspiration for things they could do in their own times to bring about more chances for equality. Kristine and I co-wrote this book during the early parts of 2016 and turned in a draft to our editor in September of that year. In it, we had our character from 1905 (Maggie) expressing amazement that the suffrage movement just beginning in her time has led to the election of the nation's first female president a century later. And then the real election happened. Back to the drawing board! 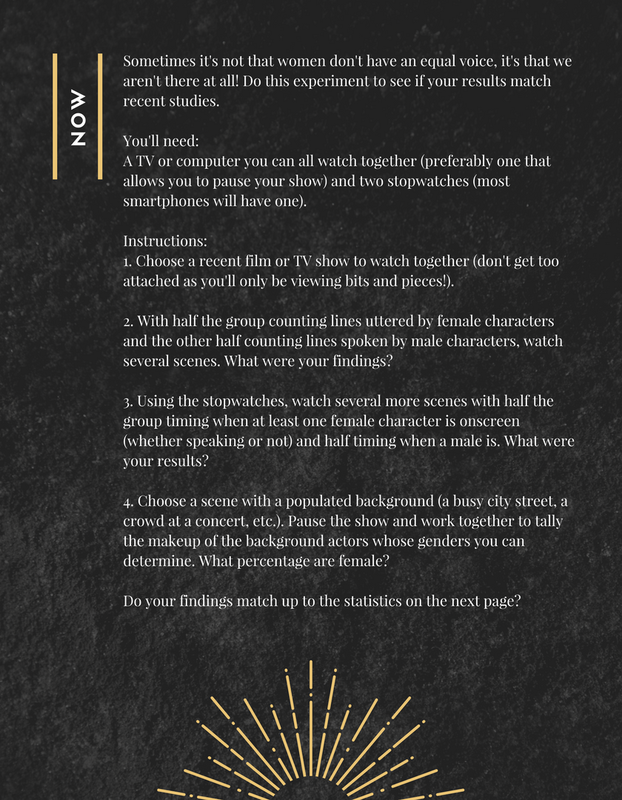 While we contemplated revisions, we both participated in the Women's March and became embroiled in the movement in a whole new way ourselves, which led to a final version of this story that has our character from today's times (Hannah), who was previously smug about the progress made, recognizing that there is still a long way to go to change hearts and minds. Boy (girl? ), were we working on the right book at the right time--all of our newfound awareness poured into this story, even though we tried hard not to make it preachy or message-laden, and kept the central focus on the art heist mystery. When we were done, we knew we weren't done with the subject matter. Although we'd kept the book's messaging subtle, we wanted a "next step" for girls who also saw the fight for equality as one that marches on. We created a companion booklet we call an Activities Guide for Budding Activists (which you can download free here! ), that allows energized tweens and tweens to build awareness around the issues facing the modern Women's Rights Movement and then turn that awareness into concrete steps they can take now to enact change. Thanks for celebrating our release with us!!! Congratulations! This looks amazing. You had me at Freaky Friday meets Downton Abbey, but then I saw the activity sheets - wow! This is so needed. Can't wait to get my grubby mitts on this!